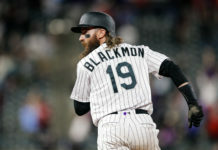 In the midst of the 27th season in Colorado Rockies’ franchise history, only one year has been worse than their 3-9 start to 2019. More things have gone wrong, than those that have gone right so far. The club has been outscored by 31 runs, nearly as many as their 38 total runs on the year. An inept offense has often been the anchor that’s threatened to sink their ship. Of the 14 batters that have double-digit at-bats this year for the Rockies, five are hitting below .200. Only one has eclipsed the .300 threshold in the early going. That lone hot streak belongs to David Dahl who is out for at least the next two series after an abdominal injury sent him to the 10-day injured list. Nolan Arenado, Trevor Story and Charlie Blackmon, the linchpins of the Rockies lineup, have yet to get in a groove. Story has flashed his power once again, smashing a team-leading four home runs, but is also tied for second on the team in strikeouts (13). Both Blackmon and Arenado have yet to garner a long ball on the year, their line drives instead landing harmlessly into the glove of the opposition. Their woes could be solved in a four-game set with the San Francisco Giants, a team they’ve gone 8-2 against in their last 10 matchups. At the newly named Oracle Park though, they’ve only been able to muster a pair of wins in their last six chances. Will the rotation rebound from a rough week? The Rockies rotation was given a break on Wednesday as their last contest of a three-game set against the Atlanta Braves was postponed. Tyler Anderson, who was originally slated to start the game, was placed on the 10-day injured list prior to the series. Jeff Hoffman was subsequently brought to the club as a projected starter for the game, without getting an official call up. With inclement weather moving the game to August, the Rockies will be able to start Jon Gray to open the Giants series, with Hoffman going back to Triple-A Albuquerque. The next time Bud Black and company will have to worry about the injury to their rotation is next Monday to start a set with the San Diego Padres. A problem that remains for the Rockies, is the state of their remaining starters. The rotation allowed 28 earned runs across the five starts in their last go around, including an injury-marred four-inning outing from Anderson where he allowed six earned runs. Each of the five was demolished, with Kyle Freeland and German Marquez unable to stop the bleeding. Now, only Marquez has a manageable earned run average of 3.00, with the other four, including the departed Anderson at north of 5.30. The Giants have an equally stagnant offense to the Rockies, sitting at an identical 38 runs on the year. A familiar foe could be the answer to their rotational hiccups. For the sake of reversing course on their season, Black is counting on a bounce-back series. How will injuries impact the everyday lineup? Losing their hottest hitter in Dahl was one thing. Injuries to both Daniel Murphy and Ryan McMahon as well have nearly sapped the Rockies of left-handed hitters. Each of the club’s replacements from the Isotopes has been right-handed as well, furthering their lack of depth from the left side of the plate. In their latest loss, Black was forced to hit newly-promoted Yonathan Daza at leadoff, with Raimel Tapia in the two-hole. 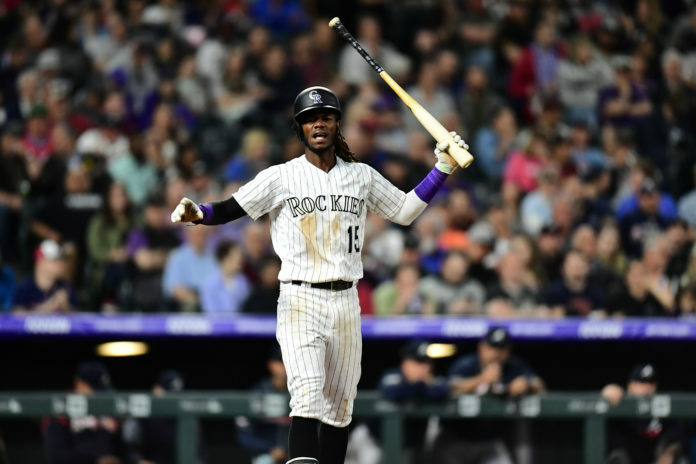 While both are developing young talents, neither was projected to start off the Rockies nine-man lineup at any point in 2019. Against the Braves, Daza went 0-for-4 with a pair of strikeouts, Tapia a similar 1-for-4 with three whiffs of his own. Their youth, in the midst of a team-wide slump, is a burden that is hard to bear for the veterans. 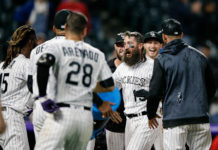 Talent is being sapped to the trainer’s room recently, with each loss hindering the Rockies ability to get an offensive rhythm back. Barring another ailment, Josh Fuentes, Tapia and Garrett Hampson are likely to see a bevy of playing time. Getting healthy, quickly, is paramount to a turnaround of the current Rockies’ slide.